SketchUp is the easiest 3D software application that allows you to draw models flawlessly. The drawing basics involve a few interesting features and tools that help you understand how to sketch the model correctly. They are as simple as the uncomplicated a designing concept of 2D. Since the edges and faces play the primary roles, you have to understand the application of different tools concentrated on performing the same task. Learning them will keep you a step ahead to design the models without any obstacles. The content discusses lines, faces and inferences. Drawing a line in SketchUp does not take your long time. It follows some simple steps and they are described below. • Choose the line tool from the tool bar or press L. The cursor transforms into a pencil. • Click on the starting point of the line on SketchUp. • A line will follow when you move around the cursor. • The measurement box displays the length of the line. • The line you are drawing turns into a specific color (red, green or blue) as per the color of the axis it parallels with. • Click the end point of your line. Remember, the end point can be a start point of a new line. A face on SketchUp creates with the assembling of lines or edges. It is a common kwon fact that faces are plain always. On the application, some faces remain in shading and some are opaque. This very characteristic represents the core design of 3D that distinguishes from the 2D part. Shapes can be rectangular, circle and polygon. Dividing faces of model is as simple as you expect. Draw a line on the model and use the push pool tool to divide the face. Opening in 3D shapes is a must-know lesson that enhances your knowledge to design even the toughest models. You can use an erase tool to eliminate the lines and edges to create an opening. The steps below will help you. • Select the erase tool. • Click the edges that you want to erase. • To erase a face, context-click on the face and choose the erase tool. Inferences are an associated tool that tells the cursor position in the line by different color dots and screen tip boxes. 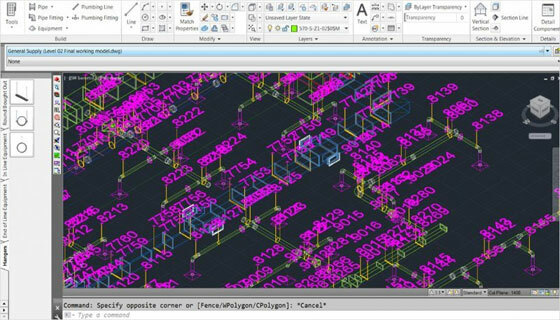 Hover your cursor around the model and you witness many inferences with different applications. 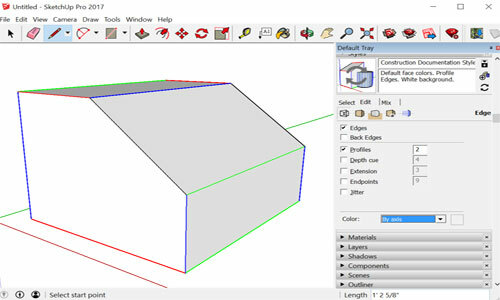 The drawing basics on SketchUp are based on the two basic characters of the application – edges and faces. To draw anything on Sketch, these two dominate your complete drawing. E-on software, a leading global developer of software for the creation, animation, rendering, and integration of natural 3D environments in the computer graphics, VFX, architecture, and gaming industries, today announced the immediate availability of Release 4 (R4) of its VUE and PlantFactory 2016 software. The free versions of its VUE 2016 and PlantFactory 2016 R4 software (Personal Learning Editions and Trial versions) are also immediately available. Vive, Nvidia 3DVision, Sony PSVR, Google DayDream, Google Carboard etc. b. Adds support for Cinema 4D R19. Availability: Release 4 (R4) is available as a free software update for all registered users of VUE and PlantFactory 2016. The 2016 R4 Personal Learning Editions (PLE) and Trial versions are also immediately available. Users can download the 2016 R4 Personal Learning Editions at no charge from www.e-onsoftware.com/try. More information on VUE 2016 and PlantFactory 2016 is available at: e-onsoftware.com/vueand plantfactory-tech.com.